There are so many reasons to recommend, C.S. Lewis: Letters to Children, a book both my (then) 8 year old daughter and I enjoyed immensely. Here are a few, in no particular order. 1. In all the letters, he treats the children he is writing to with great dignity and respect. This will not surprise readers of the Narnia books, but it is wonderful to read. If you know much about Lewis’ life, he was in many ways a perfect candidate to be curmudgeonly and rude (as Tolkien could be), or dismissive of children. He was not. He was very, very kind and did not “talk down” to his correspondents. This is the case throughout the letters. 6. If you have read some biographies of Lewis, you know he had extensive domestic duties. His own brother referred to him as “a slave” to Mrs. Moore. In these letters you get a hint of what that was like. I often wonder what he could have accomplished with a less burdensome home life, but it was not to be. When he was free of Mrs. Moore, he had an alcoholic brother to care for, not to mention marrying a woman who was gravely ill for nearly all their married life. It does put one’s grumbling about “time to write” in some perspective. 7. There is a painful undertone to an appropriately gentle letter where he speaks of an unhappy Easter with Joy (his wife). of giving a leaf to a rabbit. 10. One of the most striking things is how some of the letters end. He is very tender and humble, turning the tables on the Fan and Great Man dynamic which would be so easy to play out. Instead, he often asks the child to pray for him. “Best love to you all. When you say your prayers sometimes ask God to bless me. S. D. Smith is the award-losing author of The Green Ember Series. Sam loves chocolate chip cookies, soccer, and knights who kill dragons. Good notes of some particulaity. Perhaps you may now see from whence comes your gift for spelling. We are currently reading aloud the YWAM Christian Heros biography of C.S. Lewis and my boys just love him. They were chatting last night about conversations they hope to have with him in heaven. 🙂 His work and life are truly inspirational. I must add this book to our reading list! #5 has long been one of my favorites. I love that he asks L. to pray that “if Mr. Lewis has worried any other children by his books or done them any harm, then please forgive him and help him never to do it again.” It’s a sound prayer to echo as a writer for any age group, I think. Thank you for this wonderful post! 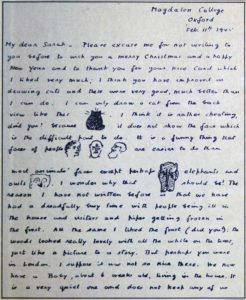 A little while ago, I read about a letter C S Lewis had written to an 8 year old girl which explained the Narnia books and how they relate to Jesus and Christianity. 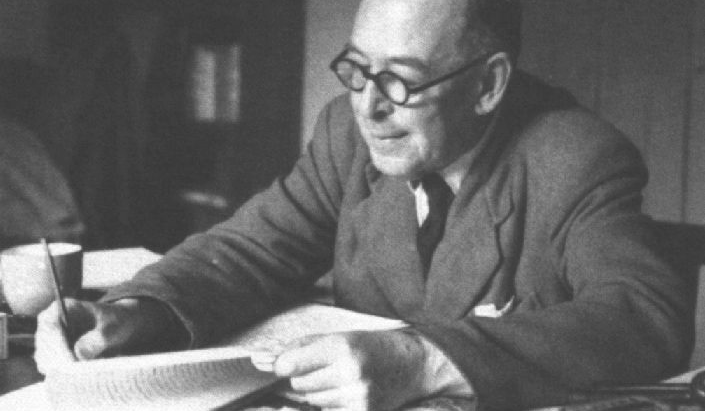 I understand a plaque was made of the letter and it was erected in a place to honour C S Lewis. I cannot remember where I read it and where the plaque of the letter is placed. Can anyone tell me where in the world it is as it might be possible for me to visit it.